PC enthusiasts witnessed an onslaught of wild new computer hardware in January, from Radeon Vega's reveal to the launch of Intel's Kaby Lake chips. 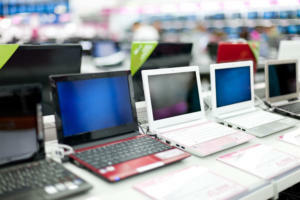 Thanks to CES, January was a monumental month for new PC hardware. This year’s show birthed all sorts of exotic laptops, the first details about AMD’s enthusiast-class Radeon Vega graphics cards, a brewing processor war, HDR on PCs, and much, much more—the most wild of which we’ll detail here. 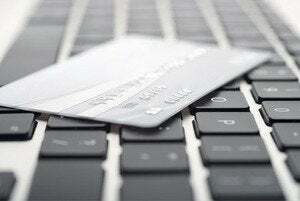 But while CES reigned supreme in January, it didn’t reign alone. After the show doors closed, we also witnessed a new 86-inch monitor, sleek Linux laptops, and the rogue appearance of a full-fat version of the Radeon RX 460’s graphics processor. Delicious. Let’s dig in! Let’s start with CES’s most concrete news, the long-teased release of Intel’s new 7th-gen Kaby Lake processors. 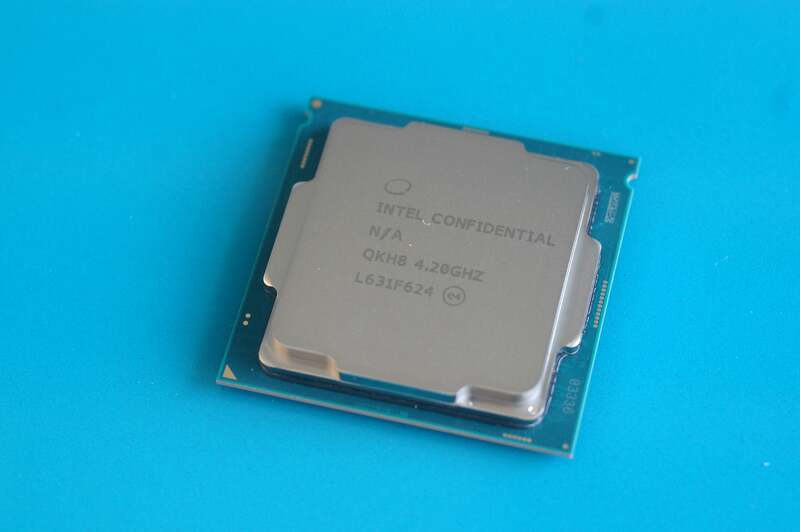 As expected in this “optimization” update, Kaby Lake is basically just a higher-clocked version of Skylake with better 4K video chops, beefed-up integrated graphics, and—most excitingly—extreme overclockability, bringing enthusiasts back to the 5GHz levels not seen since the halcyon days of Sandy Bridge and the Core i7-2600K. Check out PCWorld’s comprehensive Kaby Lake desktop review for the full scoop and benchmarks galore. 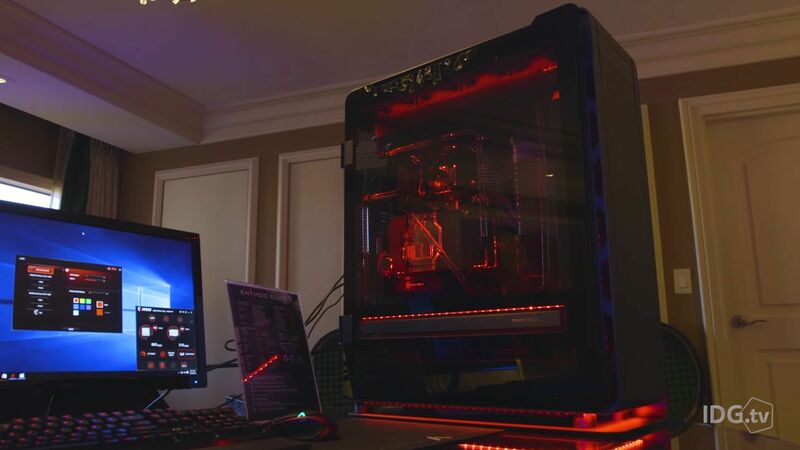 …AMD’s hotly anticipated Ryzen processors were out in full force at CES, threatening Intel’s grasp on performance computing for the first time in a decade. AMD actually revealed a bunch of Ryzen details in December, so it focused on the rest of the ecosystem at CES with the reveal of over 30 Ryzen PCs and AM4 motherboards. 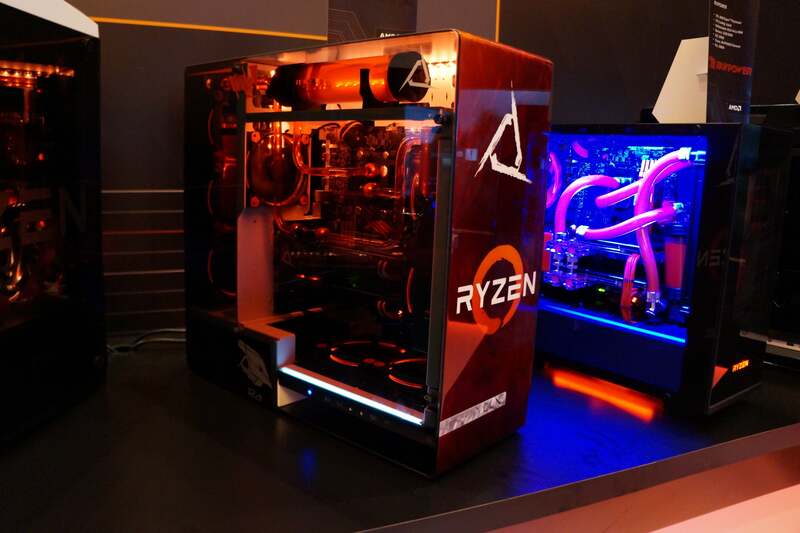 The company also announced deeper details like AM4 chipset capabilities and the fact that every single Ryzen processor released will be overclockable. Even better for PC enthusiasts on a budget, existing AMD coolers that use clips rather than brackets will be compatible with the new motherboards, and AMD plans to support the AM4 platform for at least four years. Expect to learn more soon, as Ryzen’s on tap for a first-quarter launch—maybe in February? AMD’s got a big year ahead on the graphics card front, too. At CES, the company finally unveiled some information about its brawny Radeon Vega GPUs, which are scheduled to launch sometime in the first half of 2017. You’ll need to read PCWorld’s Radeon Vega technical preview for the finer details, but in a nutshell, Vega packs cutting-edge HBM2 memory, Vega drastically reimagines how a graphics card’s underlying memory architecture interacts with the rest of your system, and Vega is fast as hell. After you’ve read up on Vega, watch this video, where PCWorld hardware editor Gordon Mah Ung and myself spend over 40 minutes talking with Radeon SVP and chief architect Raja Koduri about Vega, the state of 4K gaming, and a whole lot more. Nvidia didn’t sit around twiddling its thumbs while AMD announced all this cool stuff. 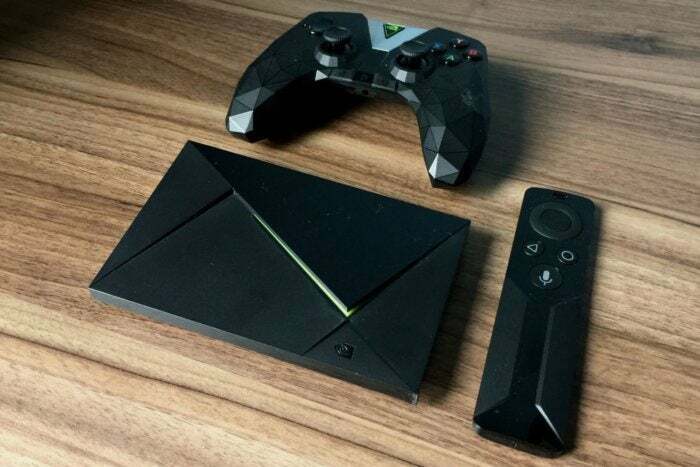 In fact, the company conducted one of CES’s spotlight keynotes, announcing a second-gen Shield TV that doubles as a Google Home and GeForce Now for PCs and Macs. GeForce Now for PCs and Macs—which is very different from GeForce Now for the Shield—lets you rent a virtual PC and stream your games from the cloud to any PC or Mac, assuming your connection’s strong enough. It let me play Witcher 3 on a MacBook Air as every fiber of my being screamed in protest. 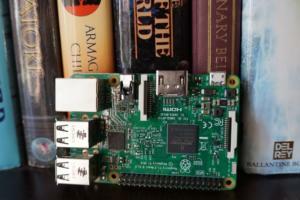 More interested in traditional PC gaming? Nvidia also announced mobile versions of the GeForce GTX 1050 and GTX 1050 Ti, which had already found their way into dozens of laptops on display at the show. 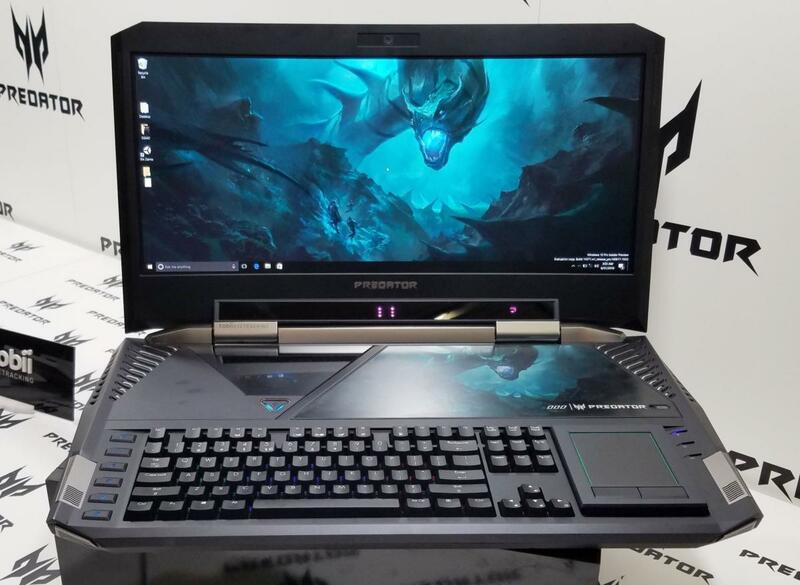 Acer’s wild Predator 21 X gaming laptop definitely does not carry the budget-friendly GTX 1050. In fact, this beast is essentially a desktop in all but name, with two high-end GTX 1080s in SLI, the overclockable Kaby Lake Core i7-7820HK, 64GB of RAM, room for up to four SSDs in RAID 0, and a 21-inch, 120Hz G-Sync display that just so happens to be the first-ever curved screen on a notebook. Hot. Damn. All those high-end features come at a chest-clutching price, however: $8,999.99. Nice of Acer to shave that penny off, eh? 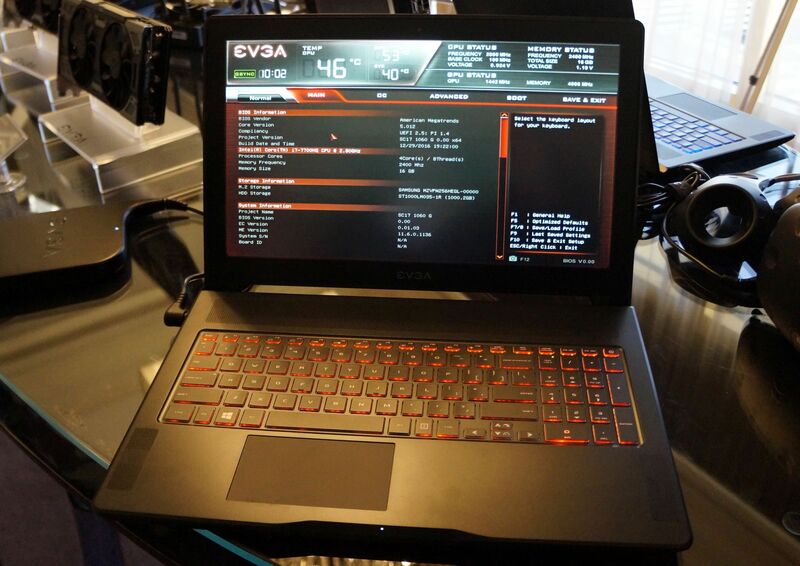 The really crazy thing is that the Predator 21 X wasn’t even the wildest laptop to appear in January. Razer revealed the Project Valerie prototype at CES, which is essentially a Razer Blade Pro laptop with three displays—two of which fold out from behind the main display with the help of robot arms. Just watch the video of Project Valerie in action. No wonder two of these prototypes were stolen as CES wound down. Valerie wasn’t the only zany project Razer has tucked up its sleeve. It also had a 4K gaming projector. Yes, a Razer gaming projector. Unlike most projectors, Project Ariana isn’t designed to replace your main screen. 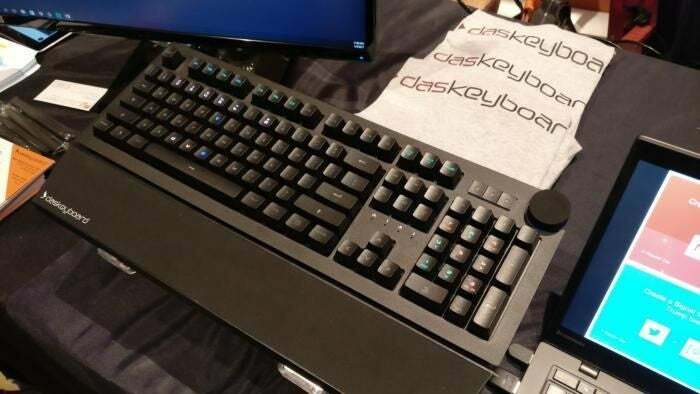 Instead, it extends your gaming world beyond the confines of your monitor and projects it onto the rest of your room. Developers could use it to simply make the world feel more expansive, or to display in-game elements like cooldown timers and maps, or even, say, make it feel like it’s snowing all around you when you’re playing in a winterscape. 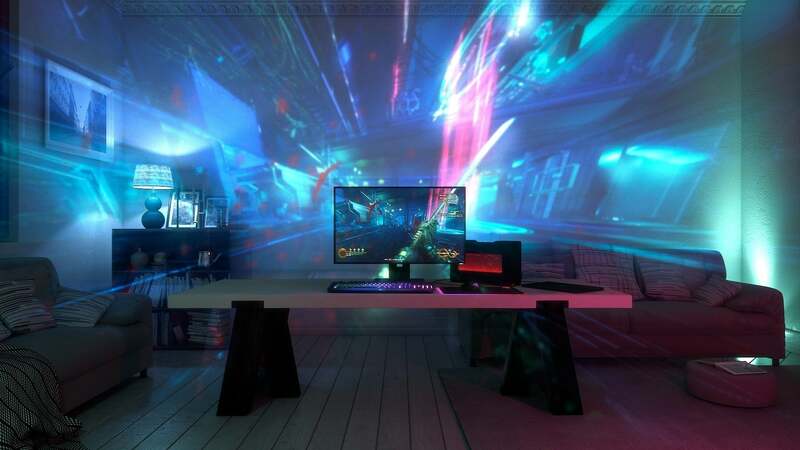 Game makers would need to support Razer’s Chroma API to make use of Ariana, but if the support is there, Razer hopes to launch the projector by the end of the year. This month, displays even came to a case’s window. iBuyPower’s radical Snowblind takes an NZXT N450 case and slaps a transparent, 19-inch display with a resolution of 1280x1024 on the window, letting you play moving “ink in water” effects, warp speed-style freakouts, and core system information on the window in real time. It’s insanely cool, and the second you can play the original Doom on this thing I might just have to buy one. One fly in the ointment is that Snowblind will only be available if you buy a complete iBuyPower system; you can’t snag the case a la carte. But on the plus side, that case, complete with display window, only adds $250 to the overall system cost, which seems very reasonable. On the other hand, the $900 Phanteks Enthoo Elite is a massive, elegant case built with everything you could possibly need for a high-end water-cooled gaming PC. It’s utterly glorious, but yeah, it’s $900. 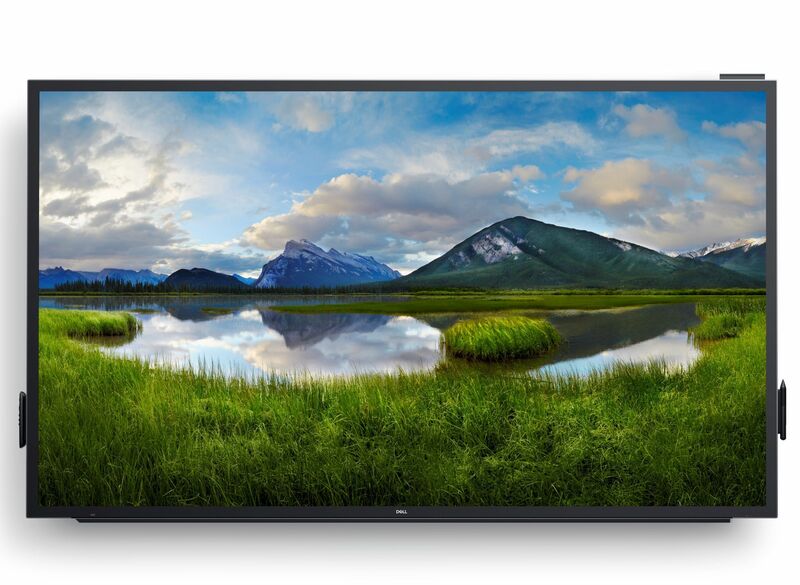 And Dell’s crazy 86-inch 4K touchscreen monitor is $11,000. Yikes—though it’s downright affordable compared to Microsoft’s $22,000 84-inch Surface Hub for offices and classrooms. As a particularly nice touch, Dell’s massive monitors have an opening in the rear for one of Dell’s OptiPlex Micro PCs to slot into. Look for them to launch on March 30. 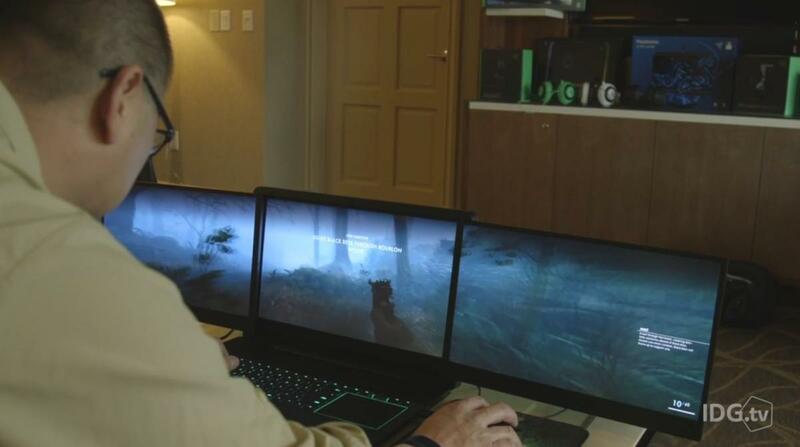 But for me, the highlight of CES 2017 was the long-awaited arrival of high-dynamic-range PC monitors. HDR displays offer deeper blacks and a brighter, vastly wider array of colors to create gloriously vivid images. Sadly, there’s no way to show the difference when you’re looking at pictures of an HDR screen on a non-HDR monitor. LG and Dell each unveiled HDR monitors aimed at creative professionals. 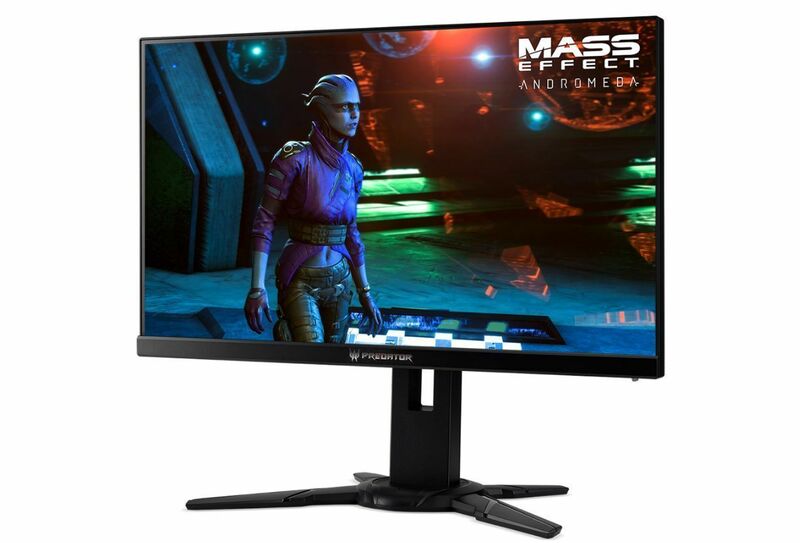 On the gaming side, AMD revealed a new FreeSync 2 standard that helps HDR monitors achieve their fullest potential, while Nvidia’s first HDR G-Sync monitors are basically the holy grail of displays, with 144Hz refresh rates, HDR, 4K resolutions, cutting-edge Quantum Dot technology, 1,000 nits of brightness, and (of course) G-Sync. Oh my. I saw the Asus ROG Swift PG27UQ—one of the HDR G-Sync displays—in person, and one explosion scene was so brilliant that my brain instinctively forced me to cover my eyes and lurch backwards to protect myself. It could feel warmth that wasn’t there. Dig it. Speaking of G-Sync displays, the EVGA SC-15 gaming laptop packs a 1080p version chugging along at a blistering 120Hz. That’d be damned impressive for a desktop monitor; it’s insane in a laptop. 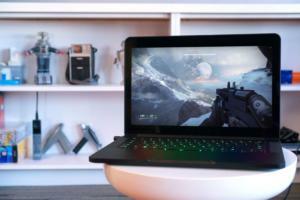 This laptop—which is basically the little brother of the 4K-equipped SC-17 notebook EVGA revealed last year—is powered by a mobile GTX 1060 and some potent internals, including a quad-core Kaby Lake processor. You could even use it as a portable VR station if you wanted to when it launches in June! 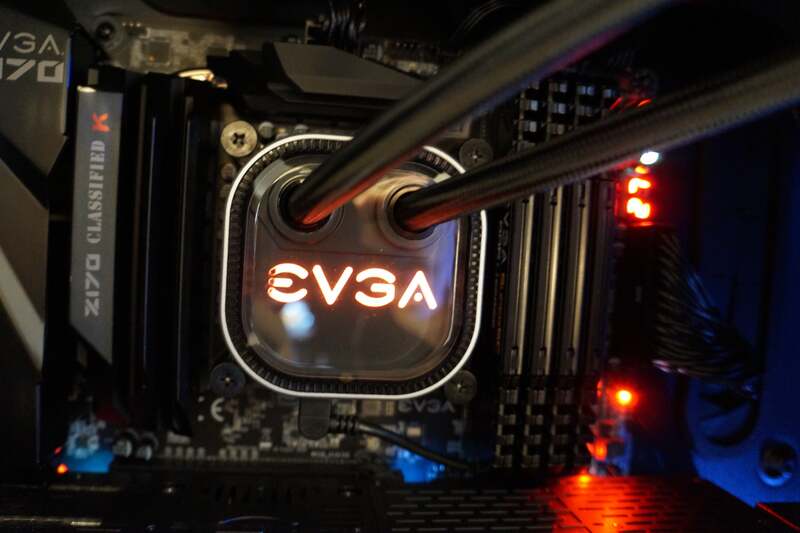 EVGA also launched the fancy “QRC” Quick Release closed-loop liquid-cooling ecosystem first teased at CES 2016. QRC offers prefilled tubes with quick-release fittings on the end, letting you expand your liquid-cooling system by simply snapping in new parts. EVGA’s going to have various sized radiators, a GPU cooler, a CPU cooler, extension cables, and even a “QRG Hybrid” GTX 1080 graphics card with QRC fittings. Look for QRC hardware to hit the streets any day now as part of EVGA’s attempt to take over your entire PC. 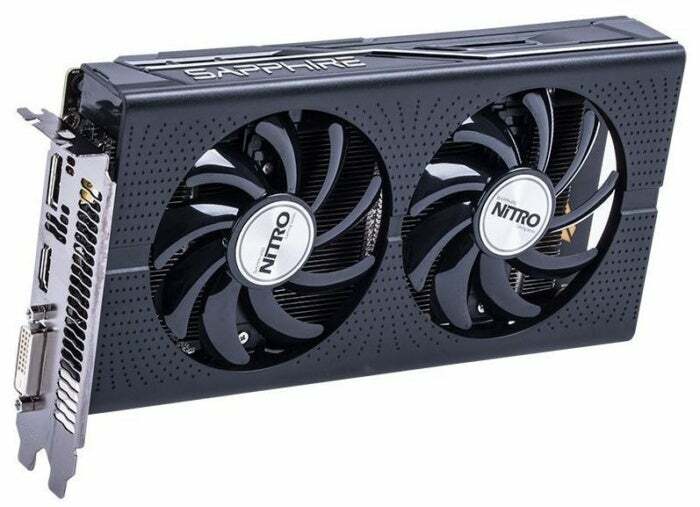 EVGA wasn’t the only graphics card maker making waves, as Sapphire released the Nitro RX 460 4G D5 OC this month. Another Radeon RX 460? Who cares? I’m glad you asked, cranky hypothetical reader. The Radeon RX 460 is the only graphics card that uses AMD’s Polaris 11 graphics processor, but not in its full form. 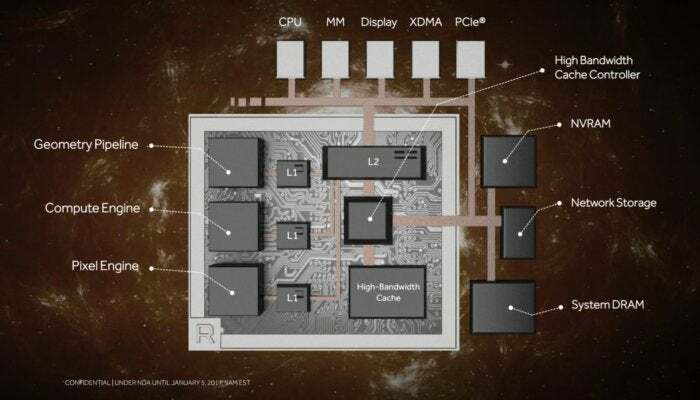 While Polaris 11 contains 1,024 stream processors, only 896 are active in the RX 460, presumably so the card could draw under 75 watts and slot into systems without supplemental power connectors. The Sapphire Nitro RX 460 4G D5 OC unleashes all 1,000-plus cores. Giggity. But now for the bad news: It’s only available in China, and neither Sapphire nor AMD have made any mention of bringing a full-fat Radeon RX 460 variant stateside. 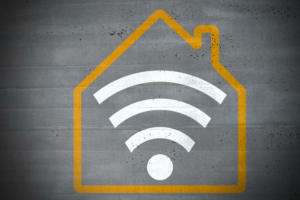 Even routers rode the bleeding edge in January. The Linksys WRT32X is an aggressively designed router loaded down with fancy features that help gamers play with minimal aggravation. 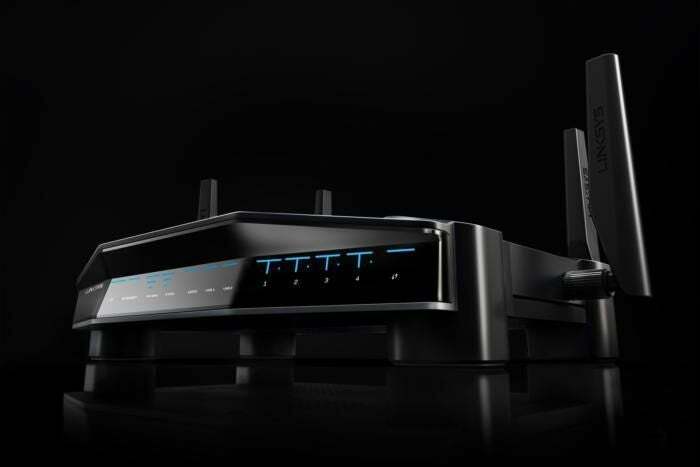 That includes a dual-band, 3x3 AC3200 wireless router with MU-MIMO, a gigabit WAN port, a four-port ethernet switch, USB 3.0, the ability to run open-source firmware, and theoretical throughput of up to 600Mbps on its 2.4GHz 802.11n network and 2,600Mbps on its 5GHz 802.11ac. If you don’t know what all that jargon means, well, the Linksys WRT32X should be fast and versatile. Look for this $300 beast to ship this spring. 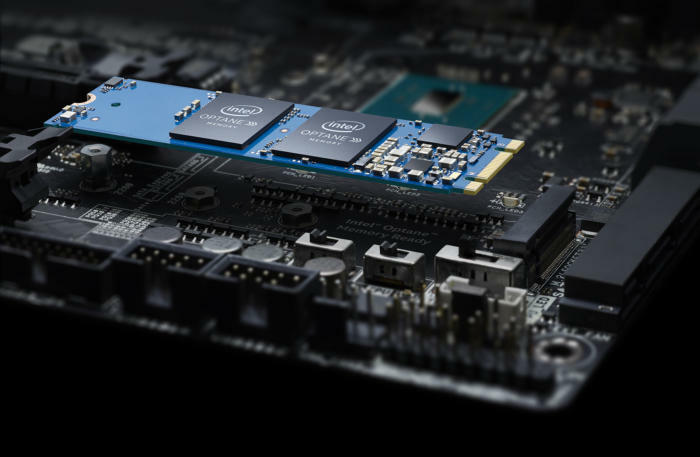 Later in the month, Intel also began shipping Optane-based memory modules to partners for testing. In January, PCWorld reviewed Gigabyte’s revamped Brix, which ditched the “palm-sized square box” design of its predecessors for the look above. It also eschewed the “bare bones” character of the Brix lineup, shipping with a full set of internal hardware (including a Core i7-6700K and a GeForce GTX 1070) and Windows 10 preinstalled. The good news? 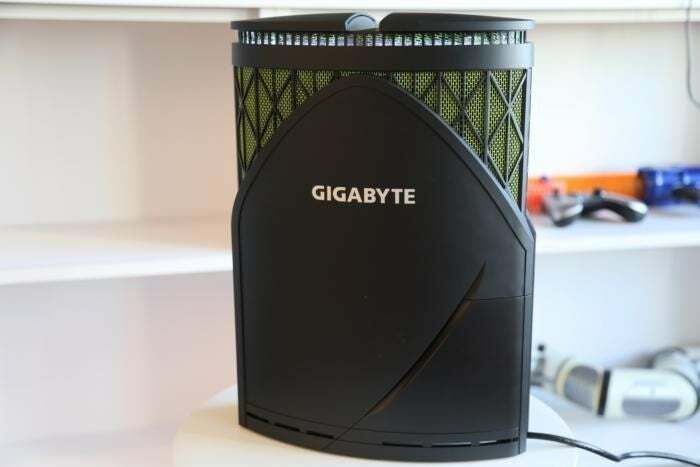 The overhauled Gigabyte Brix PC is a pint-sized powerhouse. The problem? All that power in that tiny case requires some extreme fan usage to stay cool. Despite performing so well, it’s hard to ignore how noisy it is. 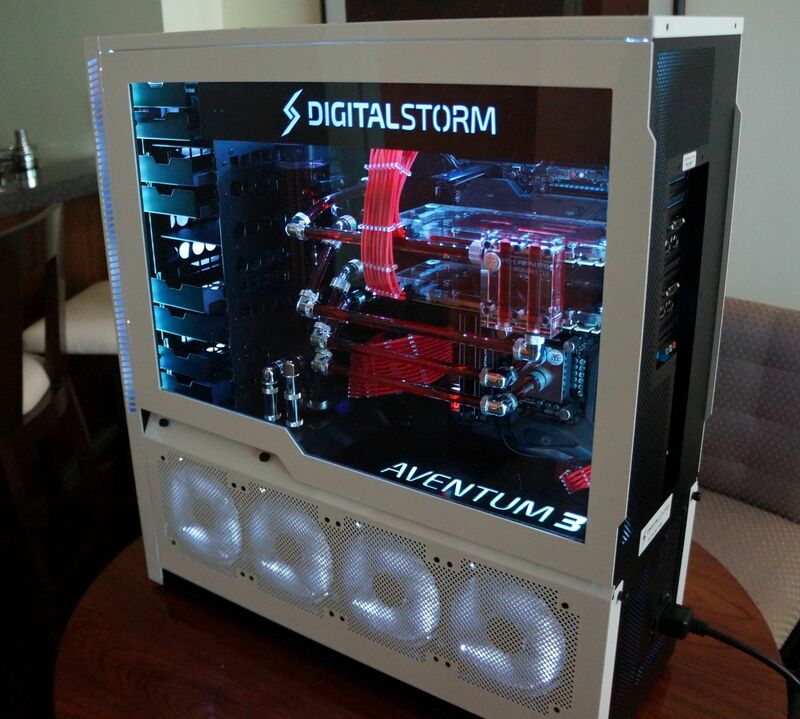 On the completely opposite end of the spectrum, Digital Storm revamped its beastly, water-cooled Aventum and sleek Bolt enthusiast PCs for 2017. Both designs have been refined to the extreme over past years, but the newest models add numerous quality-of-life improvements like lighter materials, more thoughtful airflow designs, pull-off panels in the place of thumbscrews, and so on. 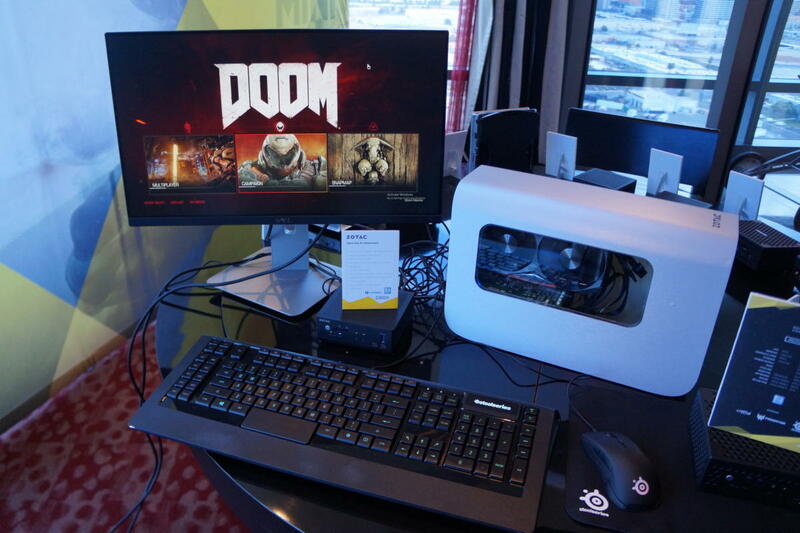 The company also provided a glimpse at a prototype of an all-new PC possibly coming later in 2017. 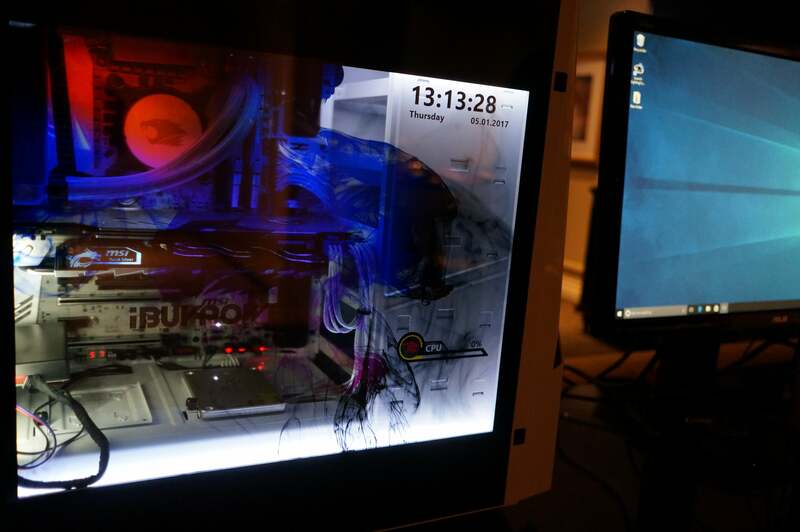 Project Modena embodies all the enthusiast PC knowledge Digital Storm’s accumulated over the years. Well damn. I’ll be keeping an eye on this when it launches in March. Samsung’s new displays might not offer HDR, but don’t sell these curved quantum-dot monitors short. Quantum dots deliver a richer, broader color spectrum that can even give those much-balleyhooed OLED displays a run for their money. 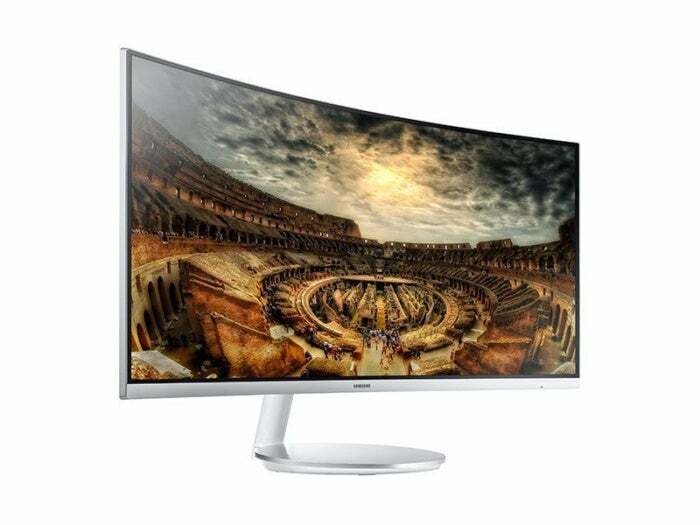 Samsung’s new CH711 monitor rocks an extreme 1,800R curvature and 2560x1440 resolution along with a color range that’s 125 percent of sRGB, augmented by that delicious quantum-dot technology. The 24-inch CFG70 and 34-inch CF791 monitors also pack quantum dots and a slightly more modest 1,500R curve. They’re focused more on gamers with an ultra-wide design, a Game Mode, AMD FreeSync support, and gamer-centric calibration options. Both are available now, and the CF791 looks absolutely glorious in real life—though that $950 price tag is no joke. (The smaller CFG70 costs about a third as much.) The CH711 will be available sometime early this year. 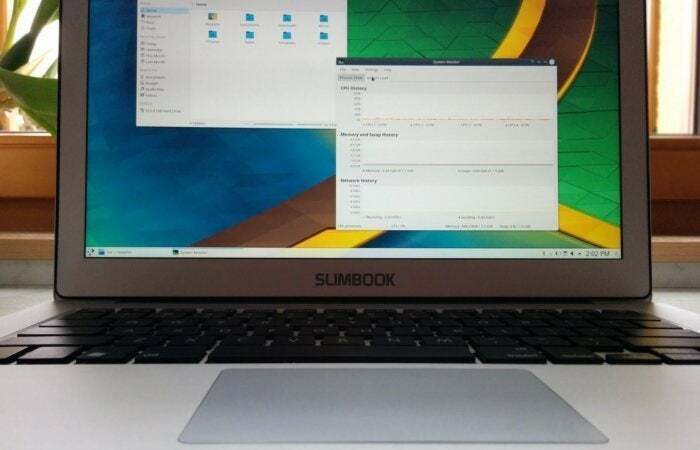 Linux lovers are often forced to install their preferred distro on whatever computer they can put their hands on, but the sleek new KDE Slimbooks were built from the ground up for rock-solid KDE Neon performance. The base specs include 4GB of RAM, a 120GB mSATA SSD, two USB 3.0 ports, a 13.3-inch 1080p display, and your choice of a 6th-gen Skylake Intel Core i5 or Core i7 processor. These aluminum-clad Slimbooks are fairly svelte, too, at 0.71 of an inch and 2.87 pounds. For the sake of brevity (ha!) we’ve stuck to the highlights here, but there’s still so much more to talk about. If you want to catch up on the rest of the coolest new PC gear revealed in January, head over to PCWorld’s CES category page and dig around a bit. 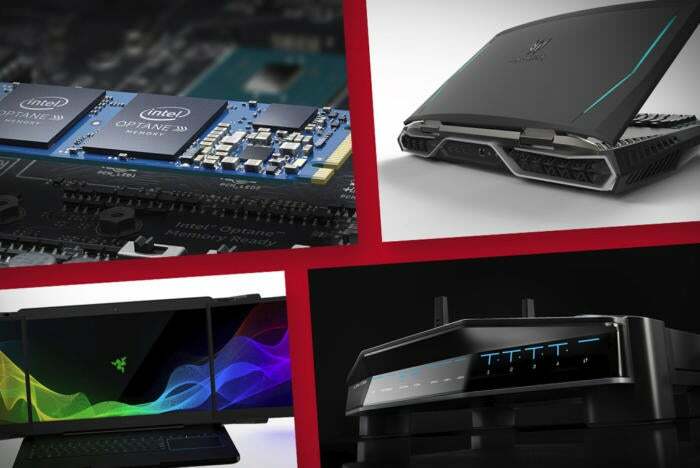 You’ll find teeny-tiny graphics cards for teeny-tiny PCs, wild cases, pocket-sized touchscreen PCs, revolutionary “3D” headphones, all sorts of laptops and PCs, and a whole lot more.